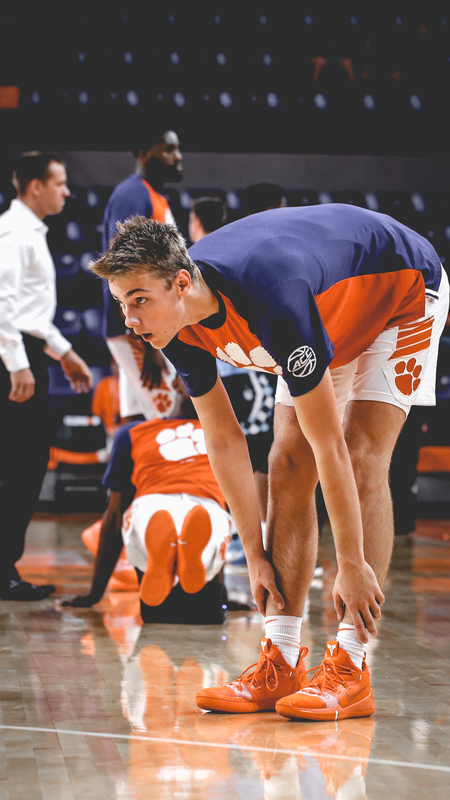 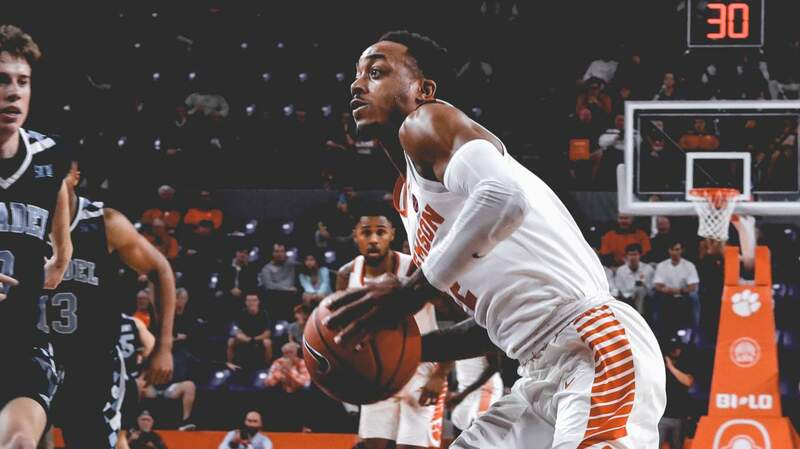 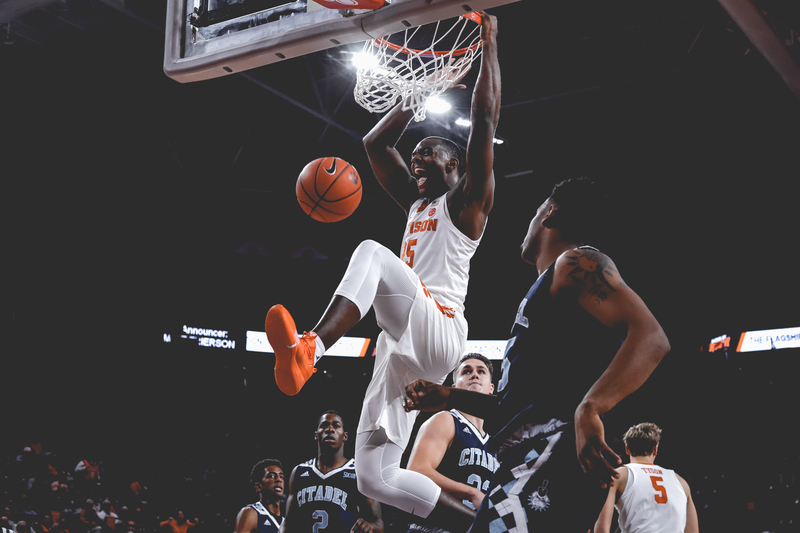 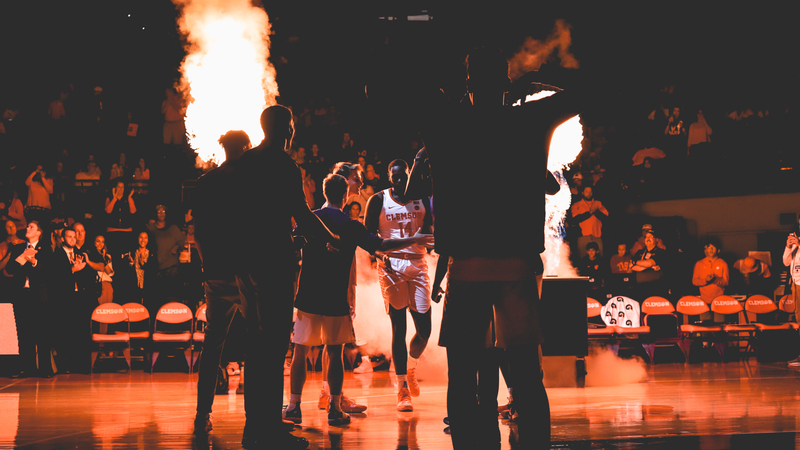 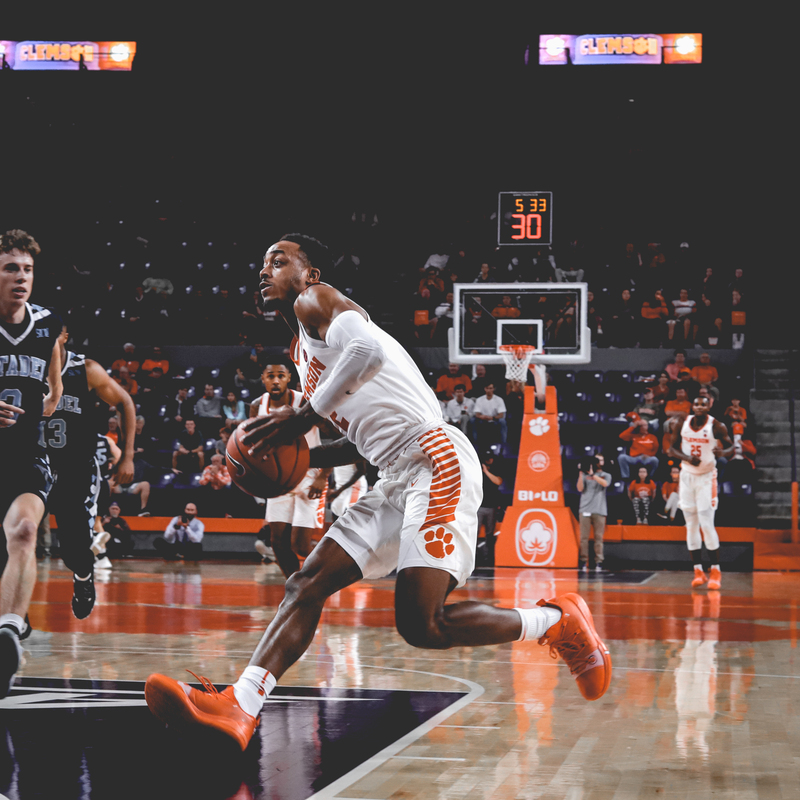 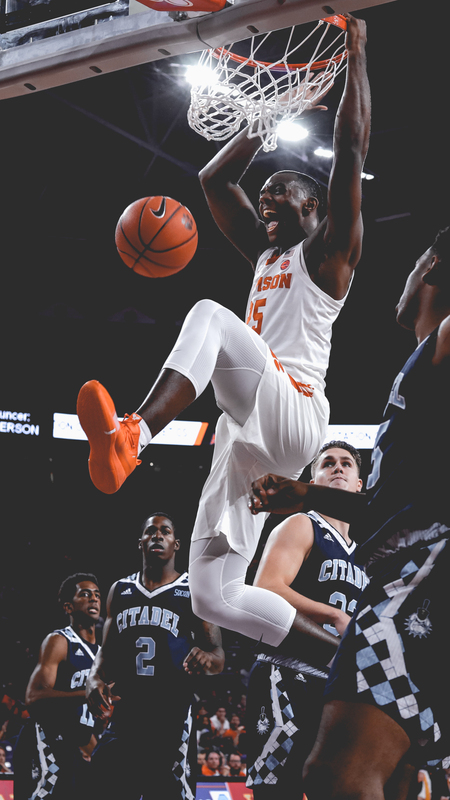 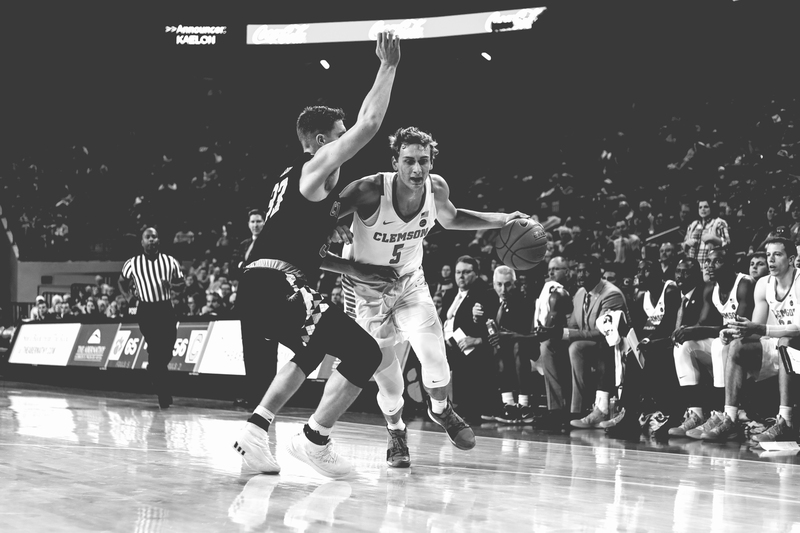 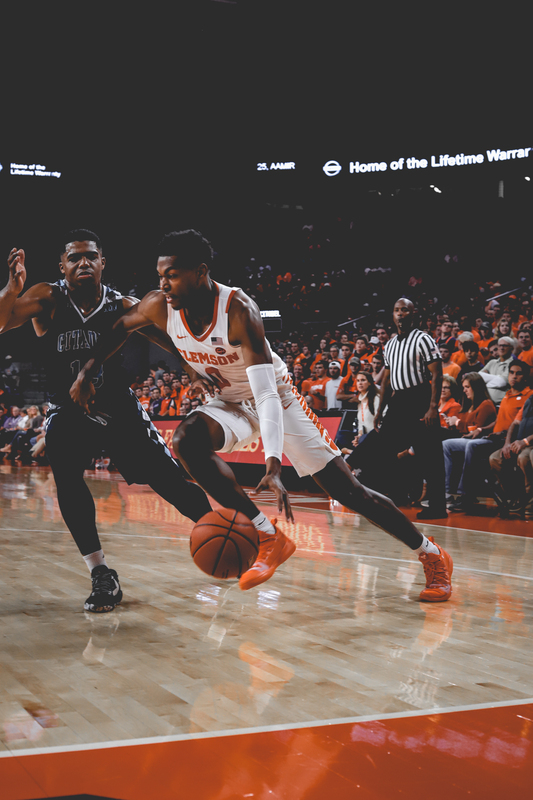 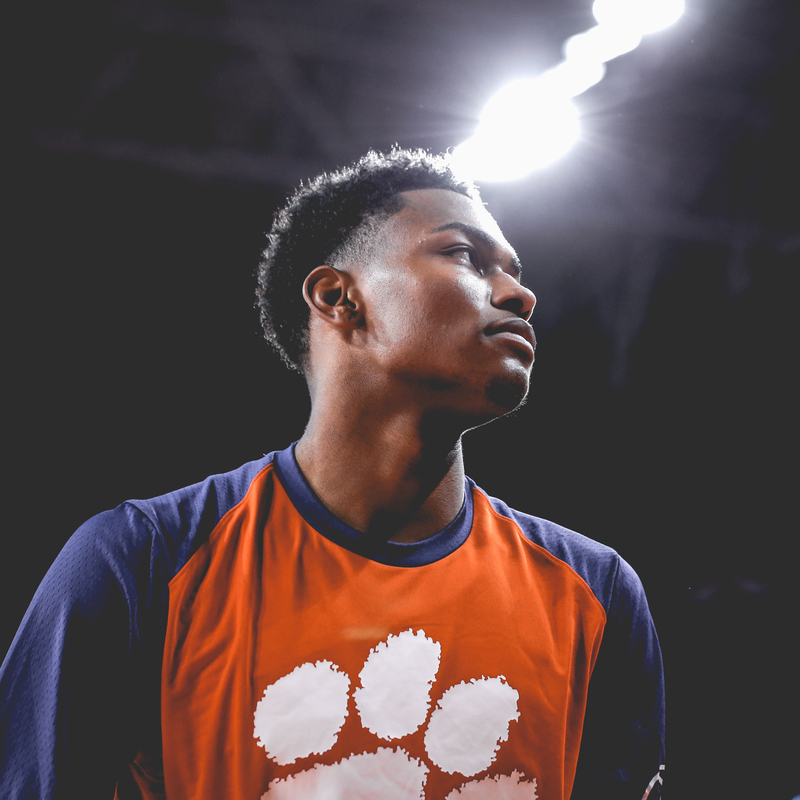 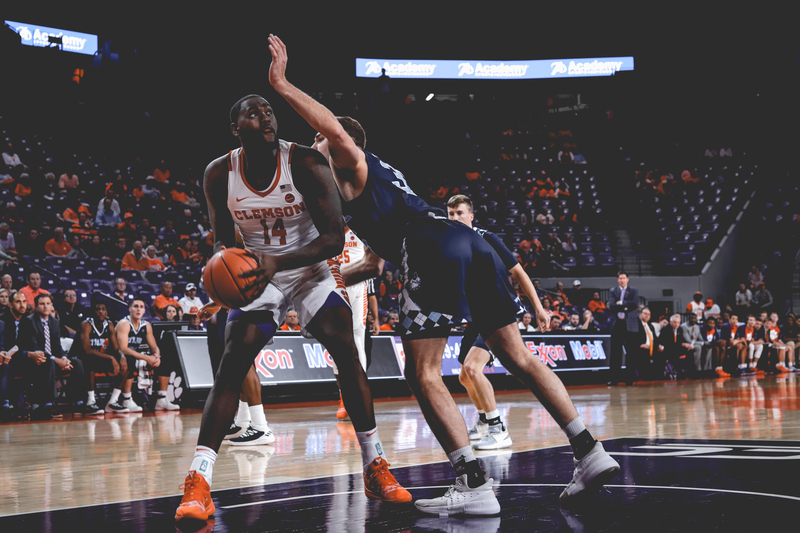 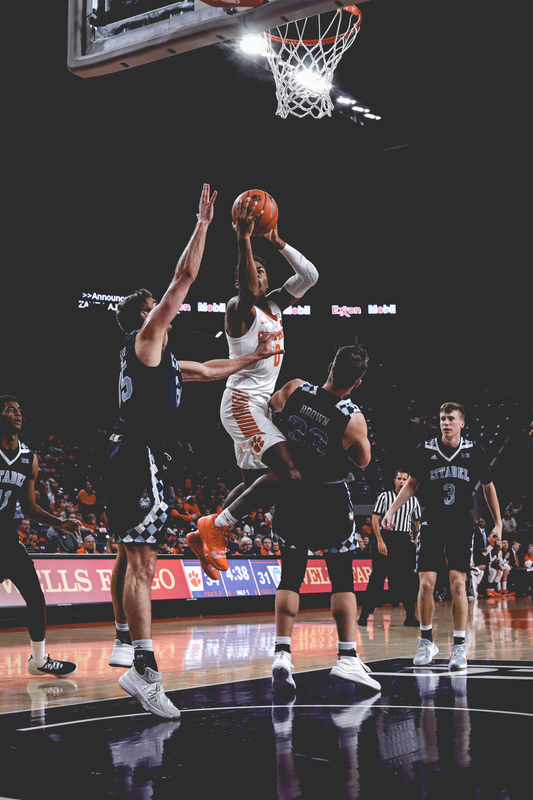 CLEMSON, S.C. — It was a historic night in Littlejohn Coliseum for Clemson University men’s basketball’s 100-80 season-opening victory over The Citadel on Tuesday night. 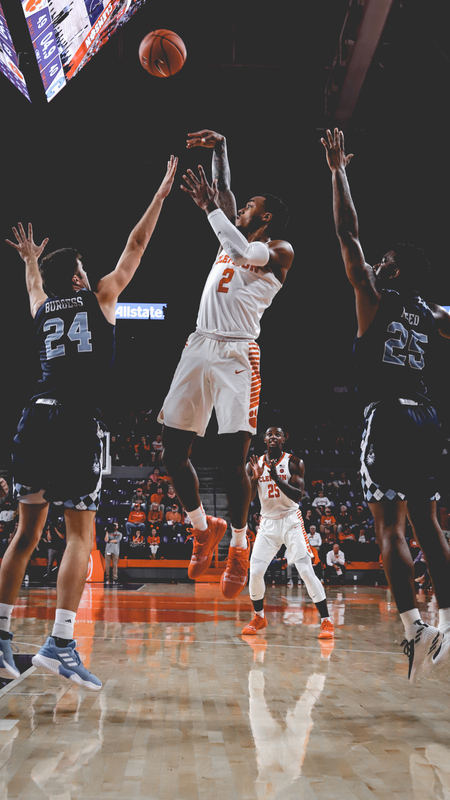 The win marked the 34th-straight season that Clemson has won the opener dating back to 1985-86. 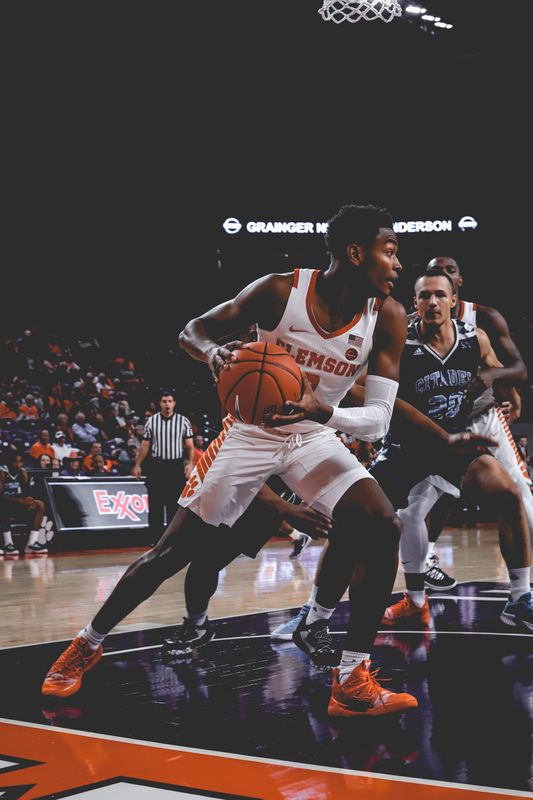 With the victory, head coach Brad Brownell earned his 150th career victory as the leader of the Tigers. 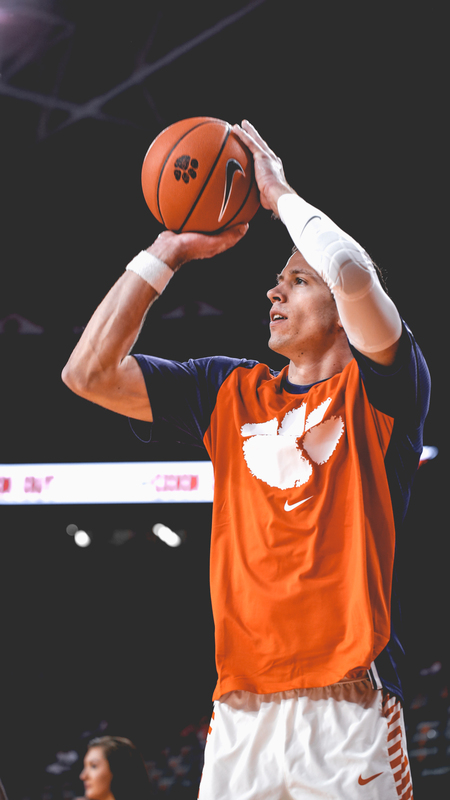 He is currently ranked third all-time in Clemson history. 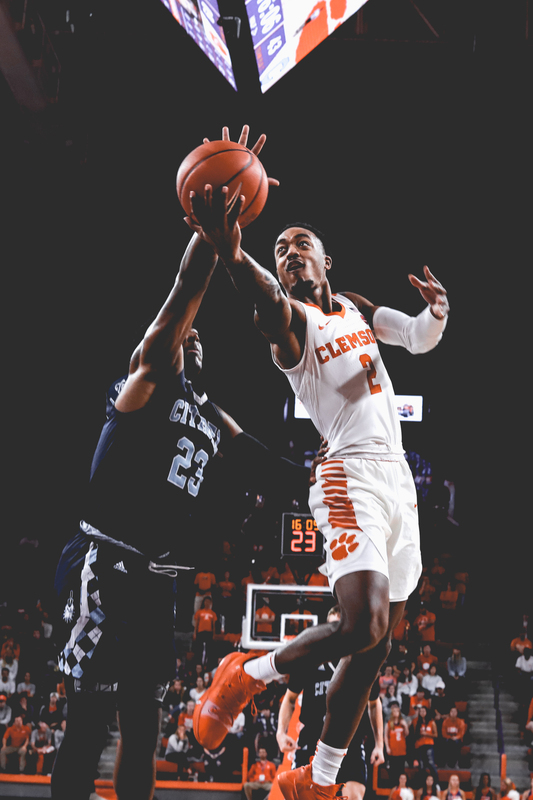 The Tigers (1-0) also scored 100 points for the first time since Nov. 23, 2009 when Clemson topped Winthrop 102-66. 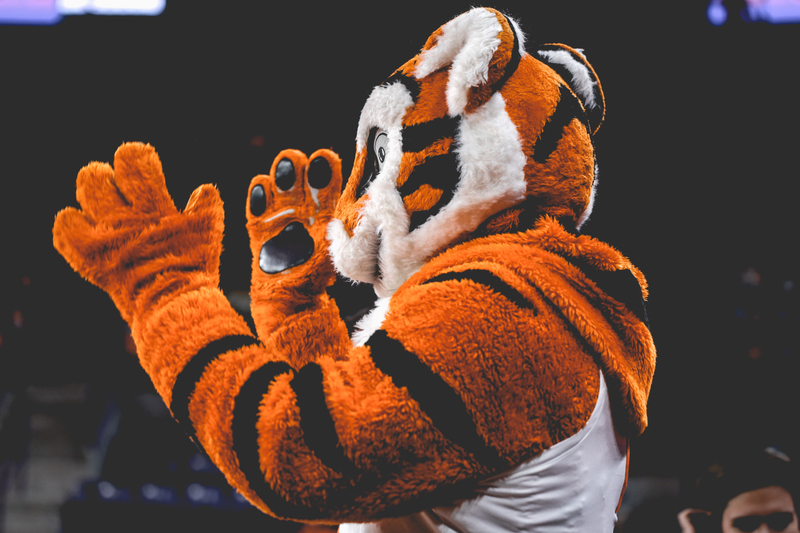 It also marked the first time since 2009 that the Tigers registered six double-digit scorers. 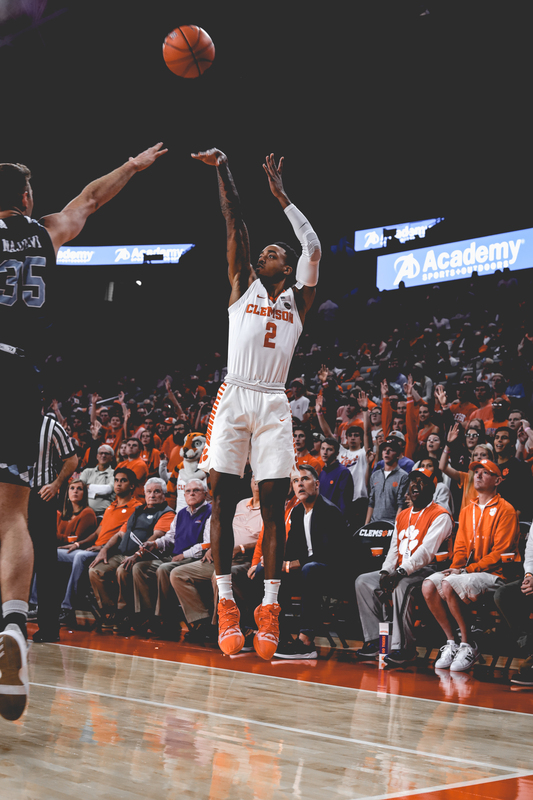 Marcquise Reed led the way for Clemson with 20 points, 13 rebounds, four assists and four steals. 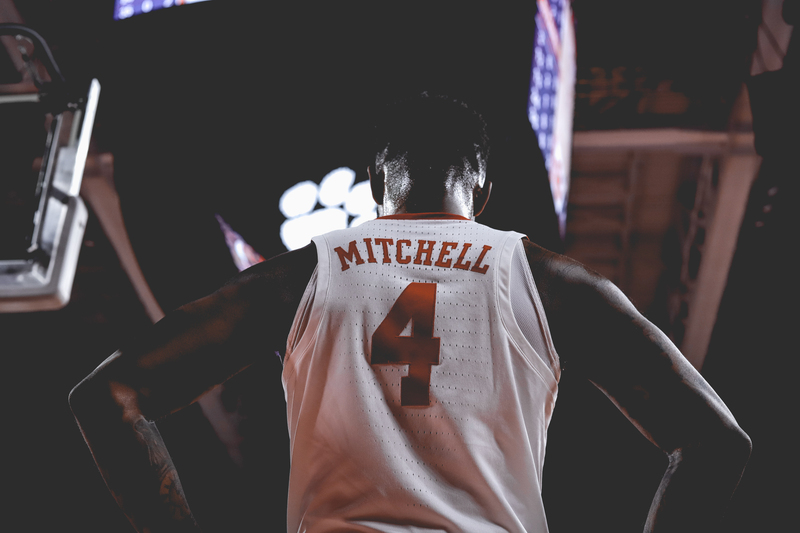 The performance marked the 28th “Triple Leadership” in Clemson history (leading team in points, rebounds and assists in a single game). 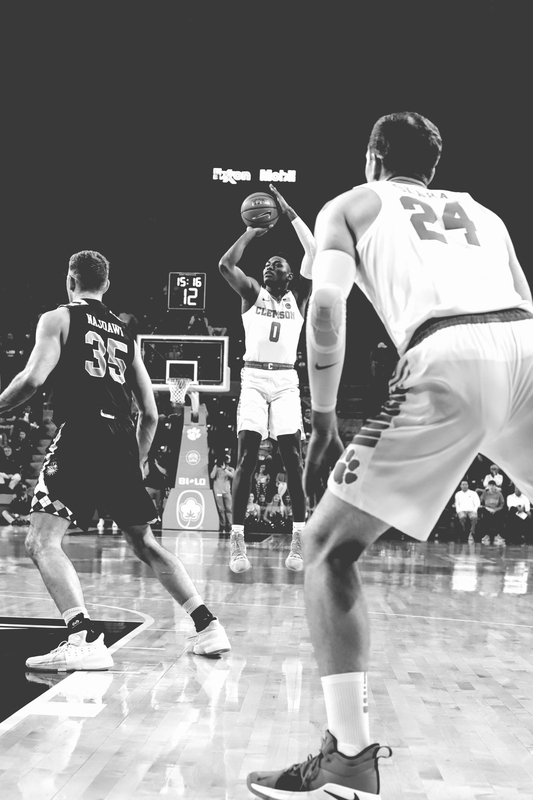 It also served as a “Quad Leadership” since Reed led the team with his four steals. 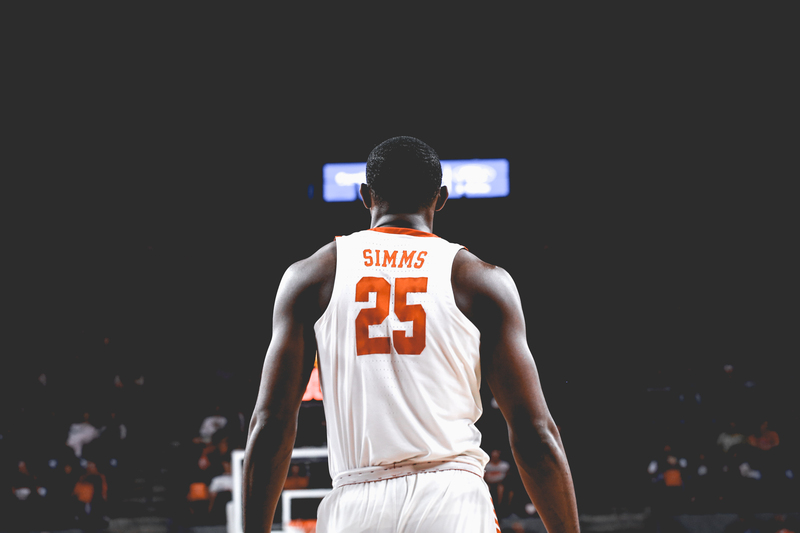 It also marked his fourth career double-double and third double-double with double-digit rebounds. 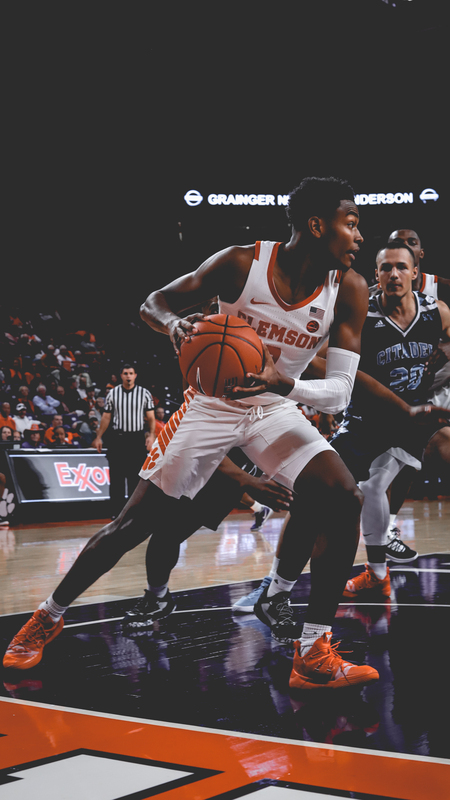 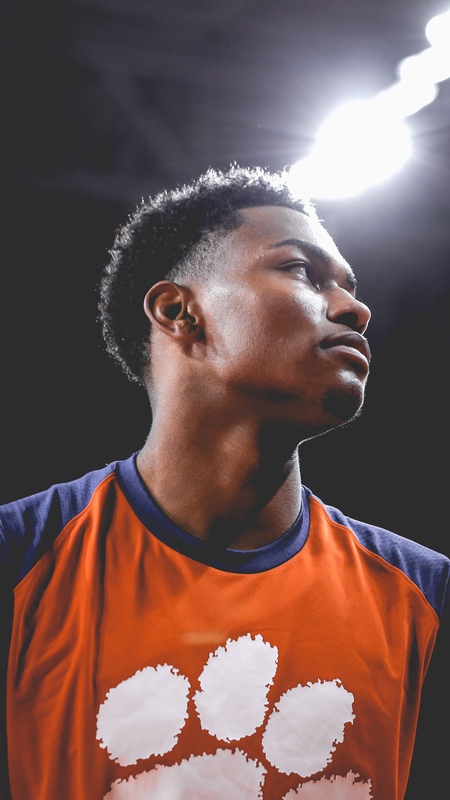 The Tigers entire starting lineup boasted double-figures in the scoring column: Shelton Mitchell (16), Aamir Simms (16), Elijah Thomas (15) and David Skara (11). 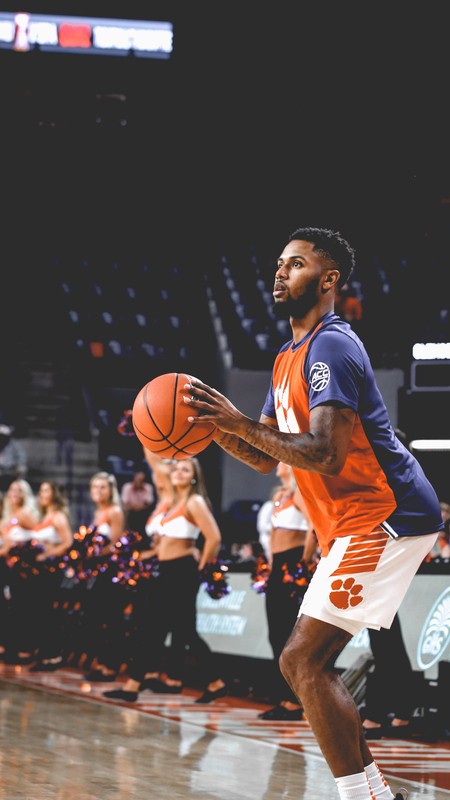 Off the bench for the Tigers, Clyde Trapp turned in a career-best game with a career-high 13 points on 4-for-8 shooting. 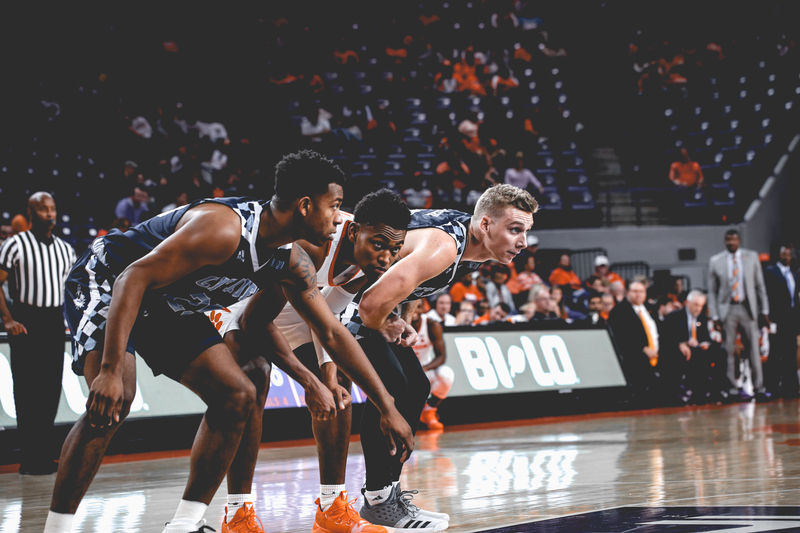 The Bulldogs (0-1) run a unique style of play in which they “Embrace the Pace” and that was evident on Tuesday night. 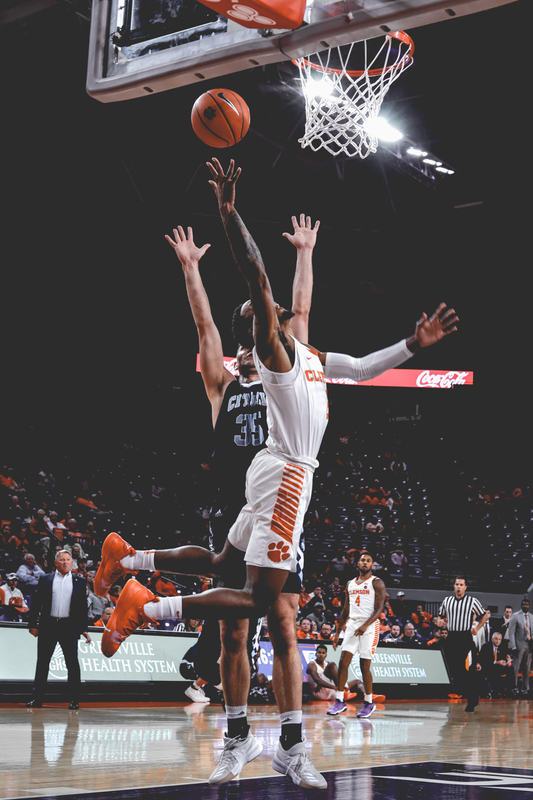 The Tigers scored 49 first-half points (more than any first half in a game last season) and took a nine-point advantage into the locker room. 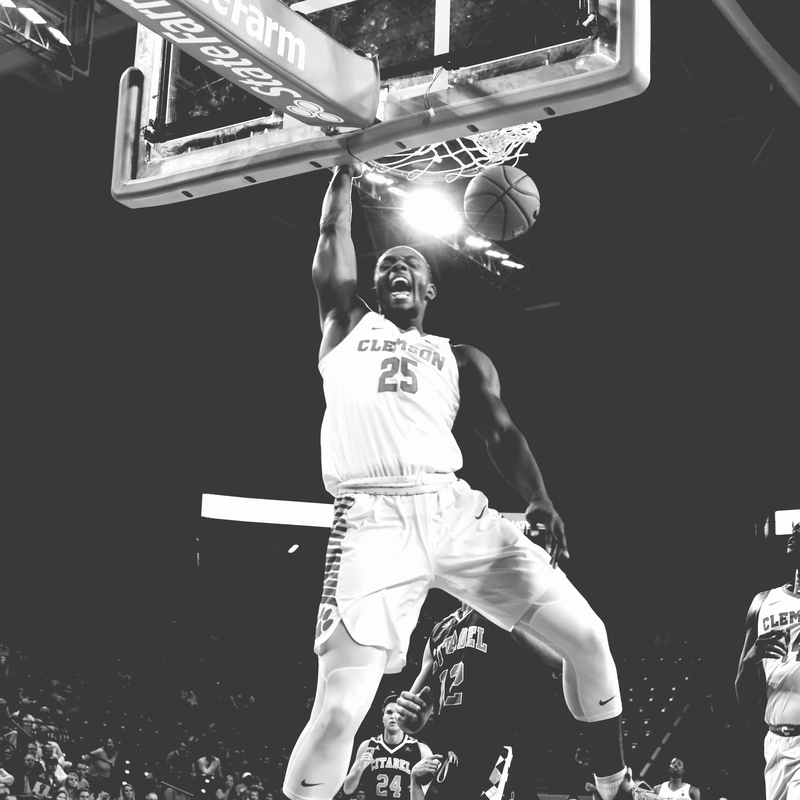 Reed nearly posted a double-double in the first half with 10 points and nine rebounds, while Simms was a perfect 5-for-5 from the floor with a game-high 11 points at the break. 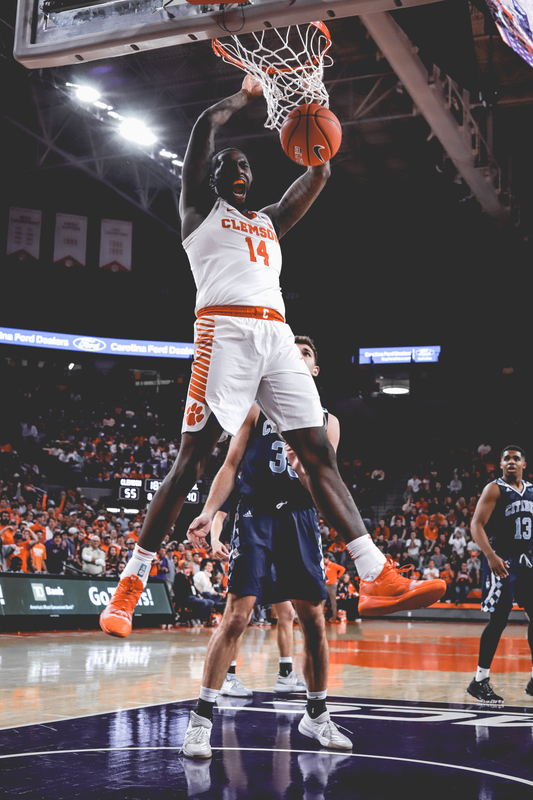 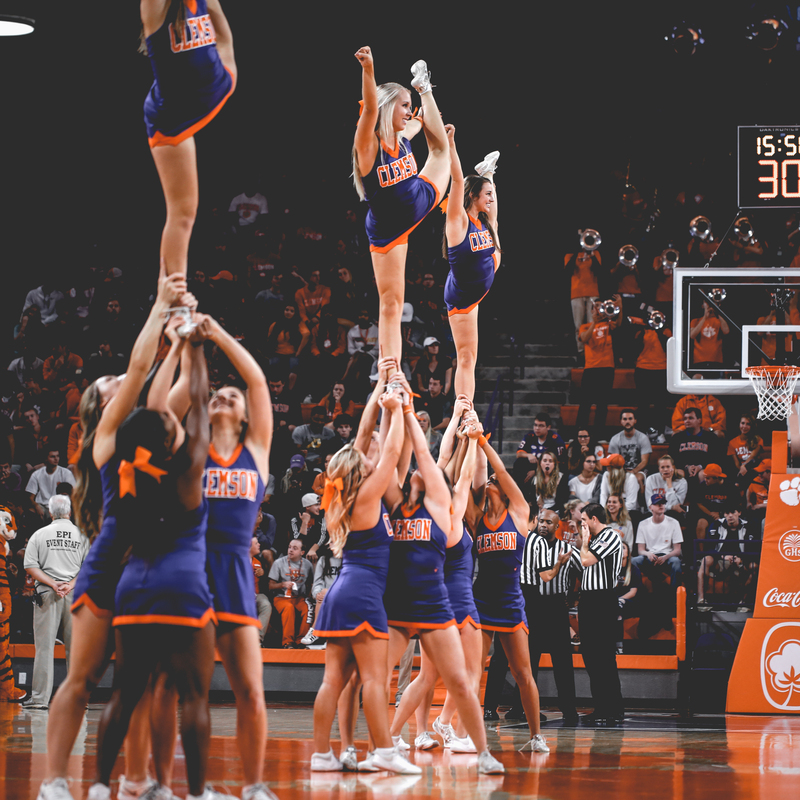 Clemson doubled its halftime lead in just over two minutes into the second half, 58-40, with 17:56 on the clock. 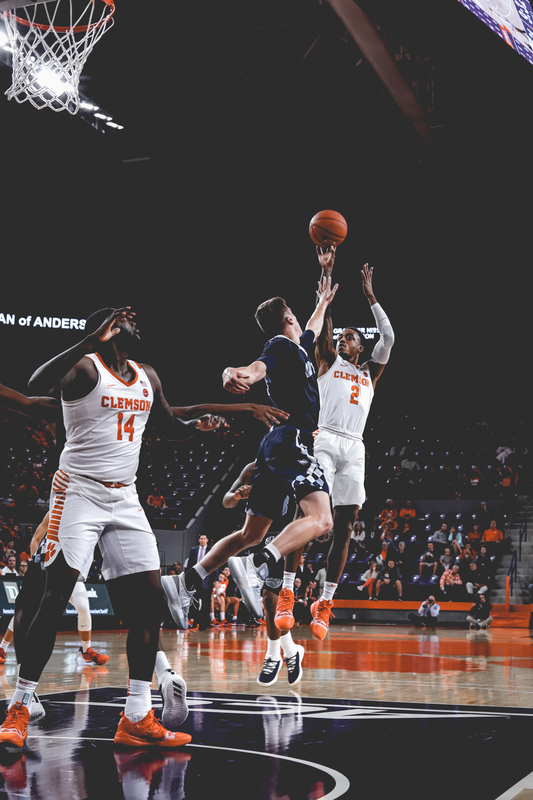 The Bulldogs would claw back to within nine points on two occasions, but the Tigers were able to keep them at bay and seal a 20-point victory on opening night. 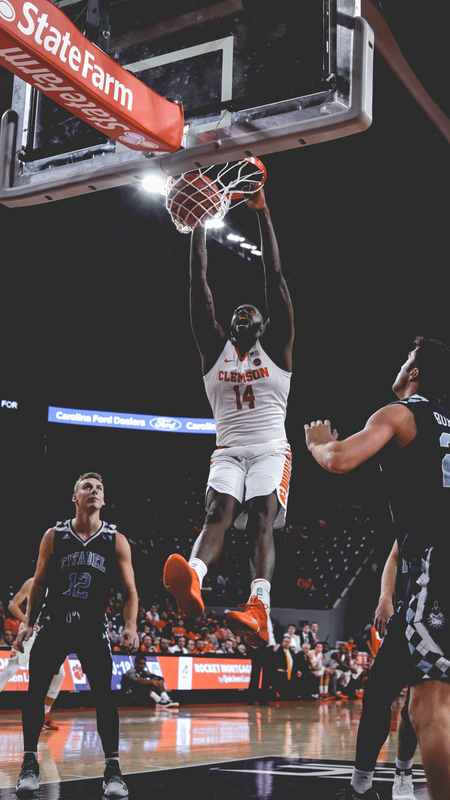 Notes: Clemson started 1-0 for the 34th-straight season dating back to the 1985-86 campaign … Clemson improves to 61-22 all-time against The Citadel and extends its win streak to 16 games dating back to the 1980-81 season … Brad Brownell recorded his 150th career victory … Clemson scored 100 points for the first time since Nov. 23, 2009 (102-66 win over Winthrop) … 100 points is the most scored under Brownell at Clemson (Tigers previously scored 95 on two occasions) … Clemson boasted six double-digit scorers for the first time since 2009 … Marcquise Reed recorded his fourth career double-double … Reed posted a career-high 13 rebounds … Reed collected his 25th career 20-point game … Reed recorded the 28th “Triple Leadership” in Clemson history … Reed also posted a “Quad Leadership” with a team-high four steals … Reed also eclipsed 900 points in a Clemson uniform (902) … Aamir Simms notched a career-high 16 points on a career-best six made shots … Clyde Trapp netted a career-high 13 points (previous high was 8 against Louisiana-Lafayette on Dec. 22, 2017) … dating back to last season, the Tigers are 19-2 in their home white uniform … four Tigers earned their first minutes at Clemson: John Newman III (18 minutes), Hunter Tyson (12), Javan White (4) and Parker Fox (1).